There is a lack of knowledge about the native coronal knee alignment in 3D. The currently used classification system (neutral, valgus and varus) oversimplifies the coronal knee alignment. 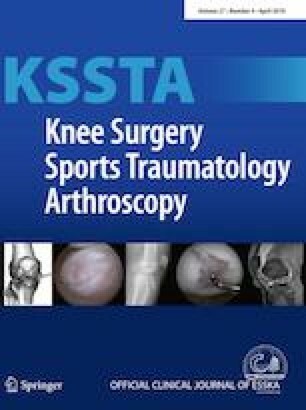 The purpose of this study was therefore (1) to investigate the coronal knee alignment in non-osteoarthritic knees using 3D-reconstructed CT images and (2) to introduce a classification system for the overall knee alignment based on phenotypes. The hospital registry was searched for patients younger than 45 years and older than 16, who received a CT according to the Imperial Knee Protocol. Patients with prosthesis, osteoarthritis, fractures or injury of the collateral ligaments were excluded. Finally, 308 non-osteoarthritic knees of 160 patients remained (102 males and 58 females, mean age ± standard deviation (SD) 30 ± 7 years). The overall lower limb alignment was defined as the hip–knee–ankle angle (HKA), which is formed by lines connecting the centers of the femoral head, the knee and the talus. The angle was measured using a commercially planning software (KneePLAN 3D, Symbios, Yverdon les Bains, Switzerland). Descriptive statistics, such as means, ranges, and measures of variance (e.g., standard deviations) are presented. Based on these results, the currently used classification system was evaluated and a new system, based on phenotypes, was introduced. These phenotypes consist of a phenotype-specific mean value (a HKA value) and cover a range of ± 1.5° from this mean (e.g., 183° ± 1.5°). The mean values represent 3° increments of the angle starting from the overall mean value (mean HKA = 180°; 3° increments = 183° and 177°, 186° and 174°). The distribution of these limb phenotypes was assessed. The overall mean HKA was 179.7° ± 2.9° varus and values ranged from 172.6° varus to 187.1° valgus. The mean HKA values for male and female were 179.2° ± 2.8° and 180.5° ± 2.8°, respectively, which implied a significant gender difference (r2 = 0.23). The most common limb phenotype in males was NEUHKA0° (36.4%), followed by VARHKA3° (29.2%) and VALHKA3° (23.1%). The most common limb phenotype in females was NEUHKA0° (36.4%), followed by VALHKA3° (22.1%) and VARHKA3° (15.0%). The measurements using 3D-reconstructed CT images confirmed the great variability of the overall lower limb alignment in non-osteoarthritic knees. However, the currently used classification system (neutral, varus, valgus) oversimplifies the coronal alignment and therefore the introduced classification system, based on limb phenotypes, should be used. This will help to better understand individual coronal knee alignment. Level III, retrospective cohort study. Michael T. Hirschmann and Silvan Hess have contributed equally to this work.